And in case you missed it on the Home Page, we're a 1:28 scale racing club. 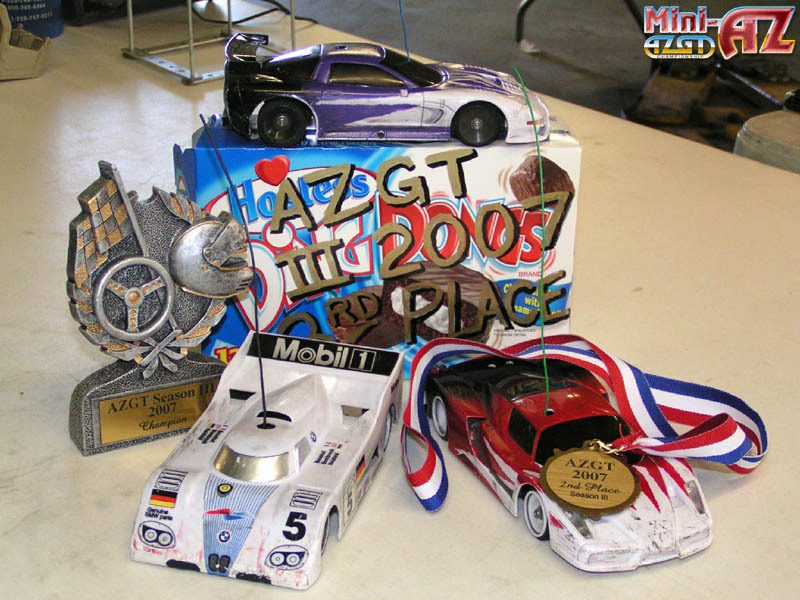 Back in June of 2005, two guys met in a parking lot to race their Mini-Z's. A couple weeks later our number doubled to four, and on a typically scorching Phoenix summer evening, Mini-AZ was founded by Dusty Weasle, Saiyan, Digital Mafia, and Dink. Over the years the club has grown. 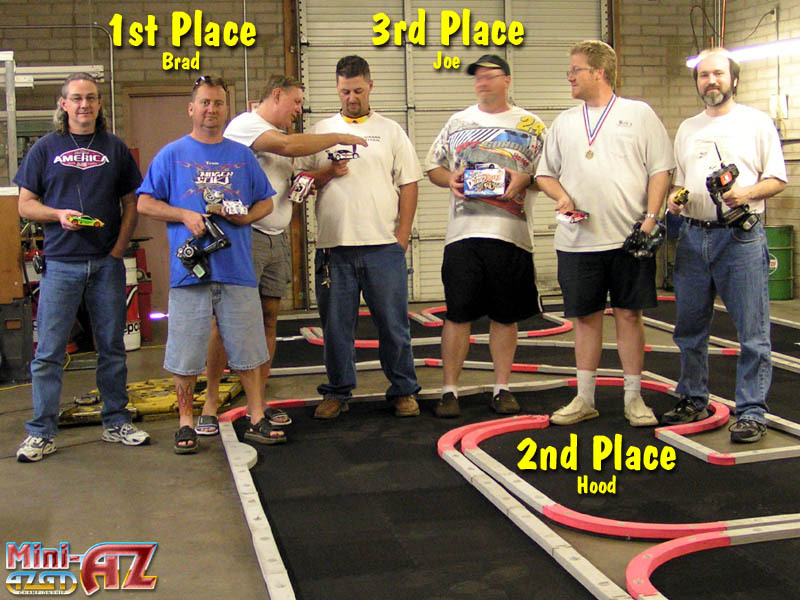 On any given raceday we have five to eleven drivers for an official event, and sometimes meet unofficially in someone's garage to practice and have fun. 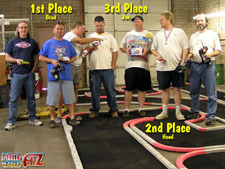 Our core group is made up of experienced racers from 1:10 scale, to 1:4, to 1:1. 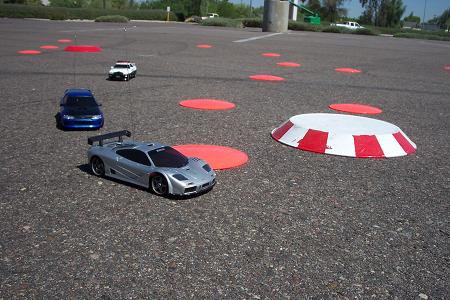 There's lots of help for the rookie driver, and challenging competition for the veteran. New drivers are always welcome, and we look forward to racing with you!